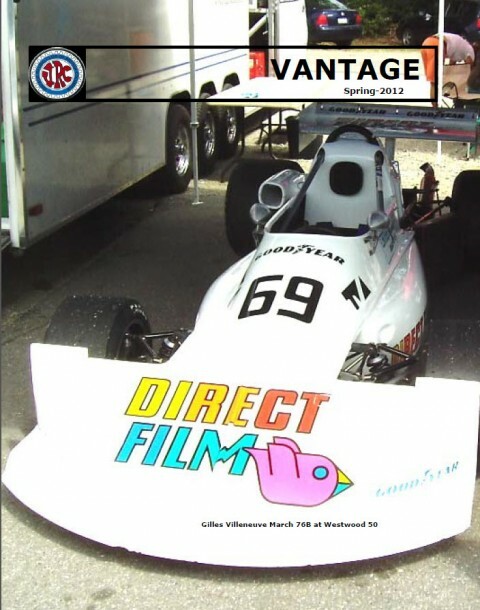 Vintage Racing Club of BC | Latest Vantage Published! 21 Apr Latest Vantage Published! Editor in Chief Tom Johnston has just published the Spring 2012 edition of Vantage – the VRCBC Newsletter. This time, Robin Fairservice tells the story of the post war 500cc motorcycle-engined, Formula 3 which started the careers of so many subsequently famous drivers and constructors. Mike Tate has some more personal reflections on last year’s Goodwood Revival, and Tom Johnston tells the story of the circa mid-50’s Jones Lake Hill Climb. Check out the very ‘attractive’ spectator and entrant fees in the SCCBC Event Notice re-printed on page 15. Those were the good old days! Tom also explains some of the background to the Snell and SPI certification bodies. You can find this and all of the previous Vantages under the About VRCBC menu, or download it directly by clicking here.